AXE.IO is one of the newer hack-and-slash games. It's also an MMO. You and other players drop in and start beating each other senseless. The game also features simple controls, boss fights, a progression system, and more. You also get 16 characters to choose from. This is little more than a time killer. However, it's one of the better time killers in this genre. It has a history of connection issues and the occasional bug. It's otherwise a good game. Bladebound is one of the newer hack and slash games. It also comes with RPG elements. There is a narrative story line that drives the game forward. Additionally, there are a bunch of various attacks and spells to learn. The game also features a ton of gear, boss fights, three difficulty levels, weekly challenges, and more. It's a freemium game and that's a bummer. However, the mechanics are solid and fun. Dan the Man is one of the better beat 'em up games. It calls itself an action-platformer. You navigate through levels, beat up tons of bad guys, and fight various bosses. The game also includes various gear, character customizations, and a few different game modes. That includes an endless survival mode where you just beat the tar out of stuff for as long as possible. It plays a bit like a retro action platformer. It is a freemium game, though, and that's not so great. Earth Wars is a newer hack-and-slash game. It takes place in an apocalyptic future with robots and aliens galore. Your goal is to take out the aliens before they wipe out mankind. It includes simple mechanics, tons of fighting, and a fairly decent narrative. There isn't much else to say about it. It feels like an old console game. There is even controller support, albeit not very good controller support. We imagine improvements are still coming to the game. It runs for $4.49 with no in-app purchases or ads. Implosion is a hack-and-slash game from Rayark. That's odd because Rayark usually only does rhythm games. In any case, this one is pretty good. It's another post-apocalyptic setting. The game takes place 20 years after humanity's downfall. 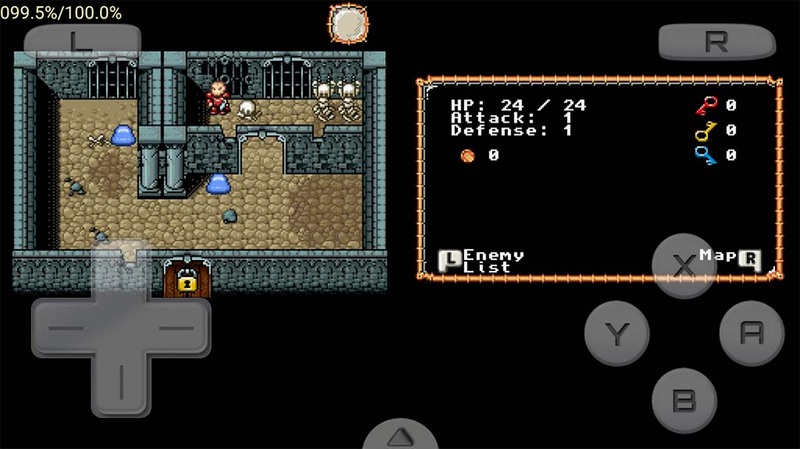 It features decent mechanics, excellent graphics, an RPG style progression system, and plenty of content. The free version comes with the first six or so missions. There is a single purchase price for the rest of the game. This is an excellent option for those looking to avoid freemium games. Nonstop Chuck Norris and Nonstop Knight are two very excellent beat 'em up games. They're also both basically the same game. You start the game, beat up a bunch of bad guys, level up, and try to keep that going for as long as possible. The game includes boss fights, tons of enemies, gear, and more. The Chuck Norris version also comes with a selection of handy Chuck Norris facts. Both games are freemium titles as well. However, unlike most, these don't require an Internet connection to play. They're offline friendly. SEGA Forever is an awesome thing. SEGA is slowly porting a bunch of their old Genesis games to mobile. Some of them make for excellent, old school hack and slash games. Kid Chameleon, Altered Beast, and a few others round out a very good selection of games. Unlike most, these aren't freemium. The free versions have ads while the full version don't. They are retro and the controls can be a little weird at times. However, they are relatively cheap, old console games. School of Chaos is one of the most entertaining games out there. It's an MMORPG, but in a school. You create a character and then fight with a bunch of other players (students). It boasts thousands of online players, an open world to explore, character customizations, and tons of gear to collect. You can even create quests for others to play if you want to. There's a lot of beat downs in this game and it definitely belongs on this list. Stickman Legends is one of the more popular hack and slash games. It has a lot of mechanics and elements. That includes RPG, shooter, hack and slash, and a couple more. The game is 2D with relatively simple graphics. However, the button mashing in this one is for real. Also included are character upgrades, boss fights, leaderboards, and some little cinematic effects to make it feel more epic. About the only really bad part is that it's a freemium game.